The American Dream typically depicts a comfortable city or suburban home with a white picket fence, fast high-speed Internet, and newspaper delivery right to the front door. However, if one looks beyond the mainstream happenings of today’s culture, an alternative and bourgeoning style of living can be found. 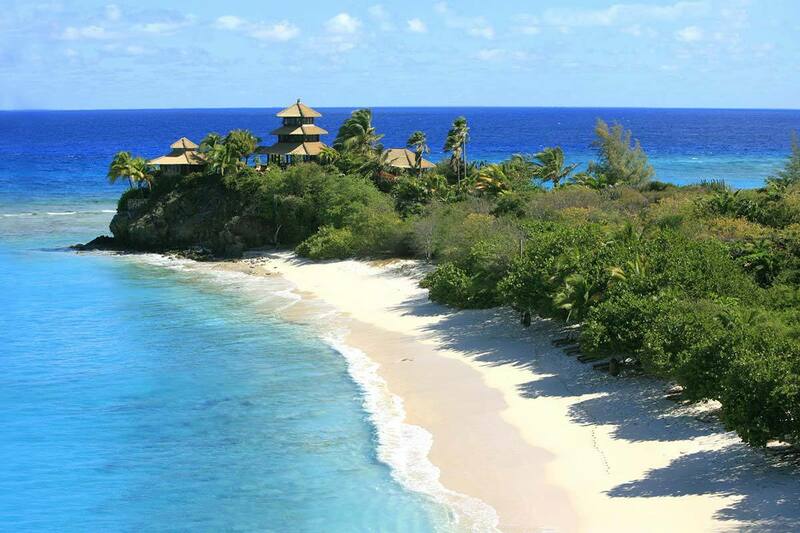 This type of living eschews the classic American Dream in savor of a more sustainable and eco-friendly manner of living. These off-the-grid style homes generally produce their own electricity (from solar panels), their own water (from wells and rain water catchments), their own heat (from wood burning stoves) and employ the use of outhouses or compostable toilets in favor of running water. But this doesn’t mean they can’t be luxurious in their own way. Below are five of the most beautiful off-the-grid homes in the world that perfectly capture this lifestyle. 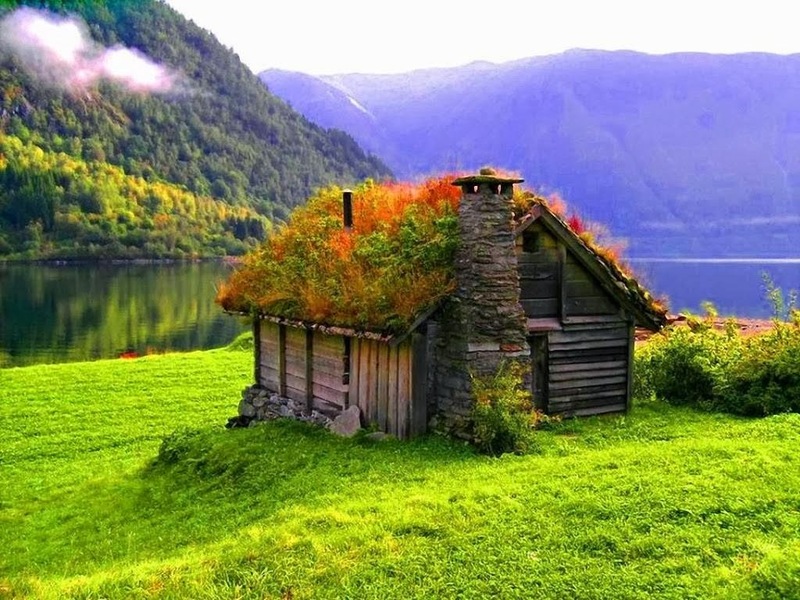 Though sod roofs have been around for hundreds of years, they are just now becoming a common and intentional alternative housing strategy. 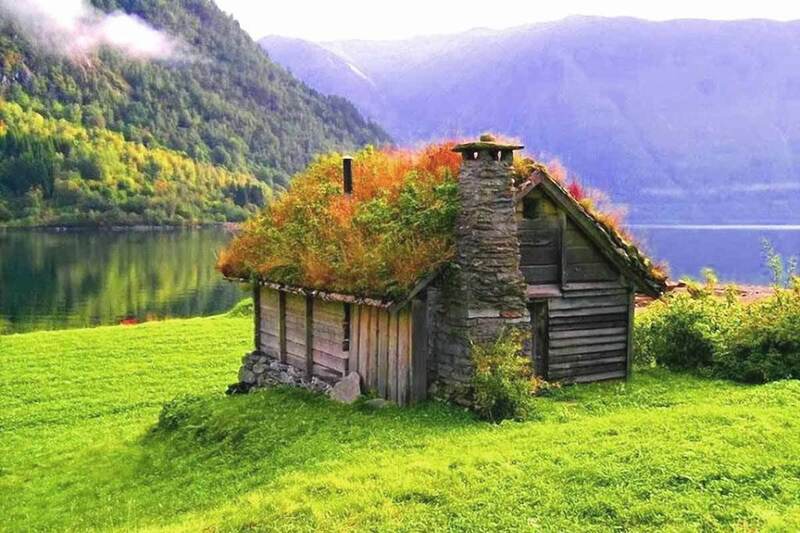 This Norwegian home demonstrates a sod roof at its finest, which provides great roof insulation and saves energy in the winter. It doesn’t hurt that the house sits right next to a dreamy Scandinavian lake and looks like a friendly troll would live in it. This garage was repurposed into a quaint and incredibly beautiful cabin. Perched directly over the magnificent Puget Sound in the Pacific Northwest, this off-the-grid home enjoys unbeatable views while at the same time promoting an alternative lifestyle. 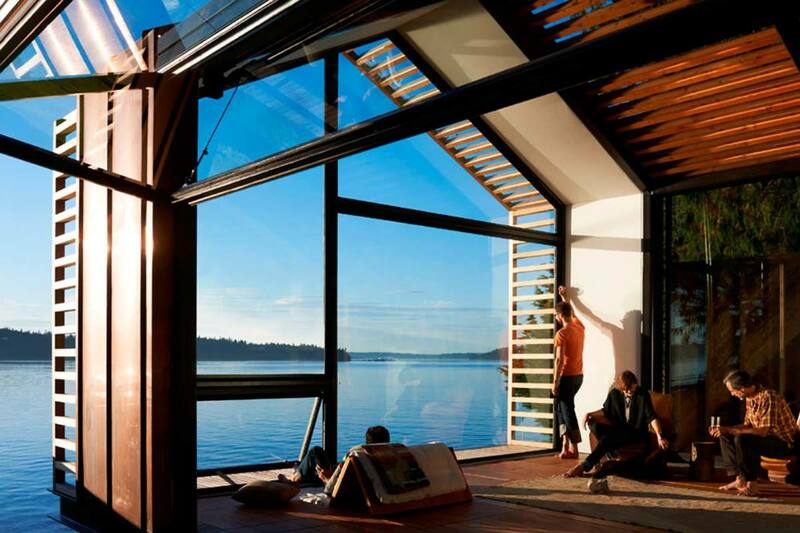 The garage features folding glass panels, allowing residents to fully immerse themselves in the incredible scenary. 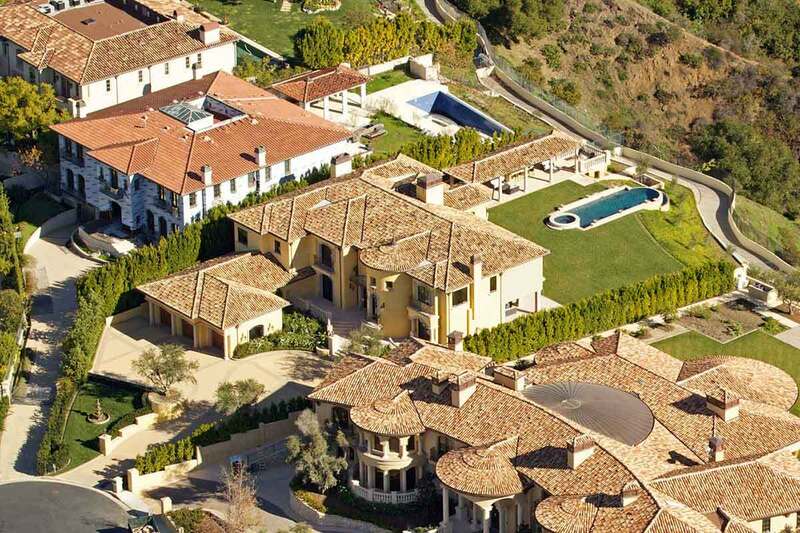 This is also one of our favorite homes with a view. 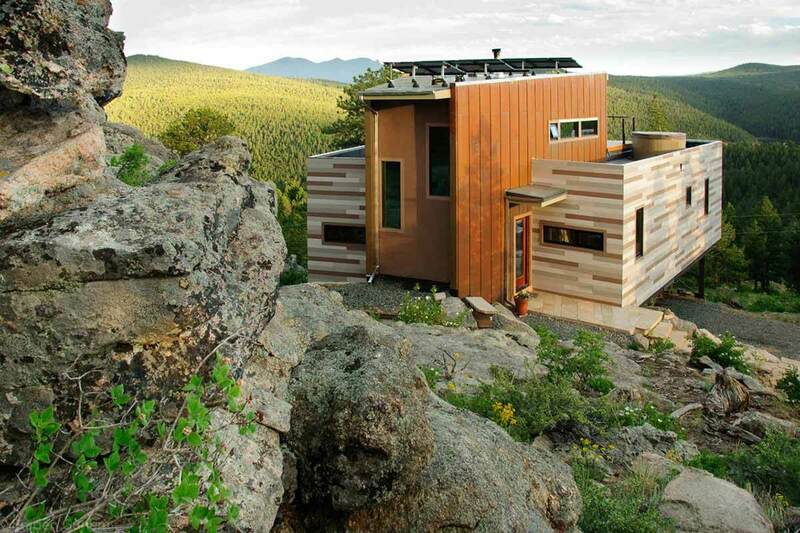 Nestled deep in the Colorado Mountains, this off-the-grid home is partially made of recycled shipping containers. The shipping containers, which make up the central structure, blend in wonderfully with the rest of the home and the surrounding wilderness. Almost post-apocalyptic in its stark beauty, residents of this home also enjoy solar power heating and electricity for a truly alternative lifestyle. 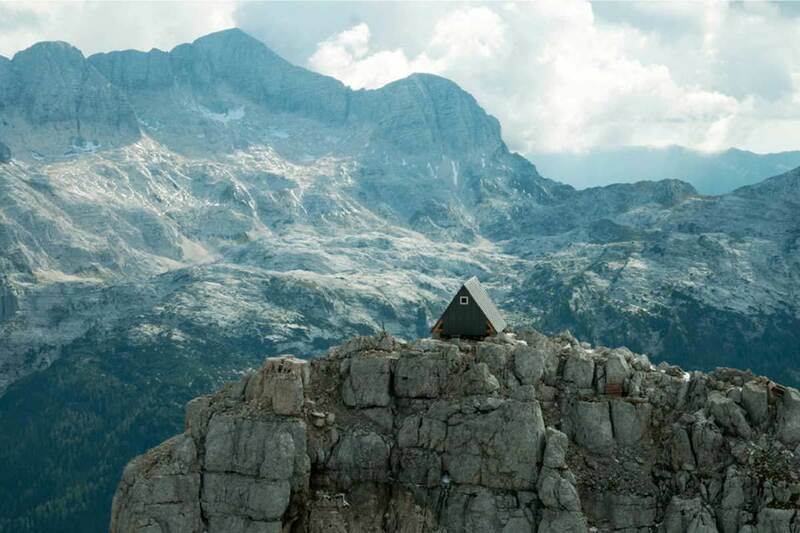 This tiny house is very much off the grid, as any visitor must hike many miles in order to access it. 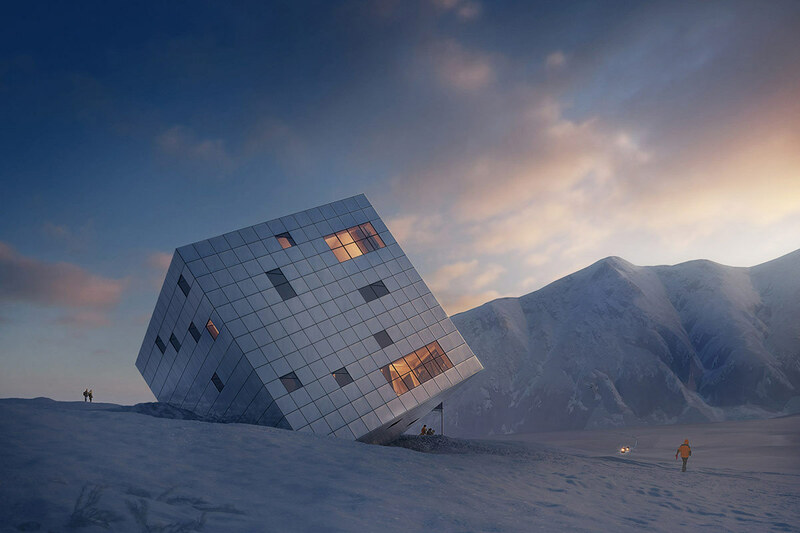 Located in the Julian Alps in Italy, this home was built in honor of the famous mountaineer Luca Vuerich, who was tragically killed in an avalanche. Boasting one of the most incredible views in the world, any hiker who is up to the challenge is welcome to come rest at this cozy cabin.